Users can read studies based on subspecialty and organize a peer review process to elevate the quality of diagnosis. Automatically present the most relevant study to speed turnaround time. 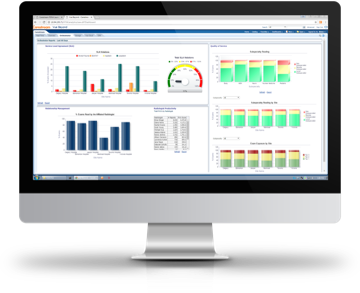 Use the real-time analytics dashboard to track performance and service metrics for actionable analytics. Access reports and follow-up by ordering physician. Use screen sharing, chat and link invitations to simplify and improve collaborative relationships. 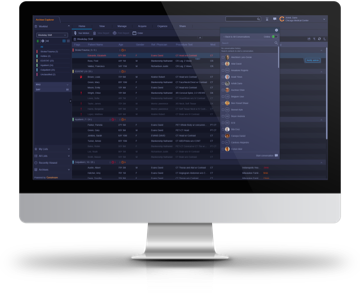 Functions seamlessly with all the Carestream Clinical Collaboration Platform modules (Enterprise Viewer, Interactive Reporting, Administration and of course the Diagnostic Client). Provides sub-specialized and prioritized worklists, including relationship management. Supports more evenly balanced reading workloads. Improve quality control of readings through peer review. Ensures that all exams are read, with our "No Study Left Behind" exposure mechanism. 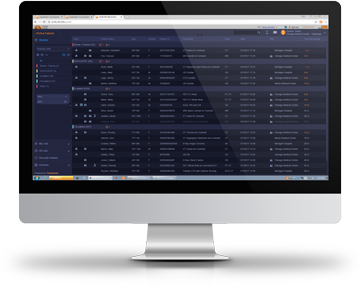 Delivers superior performance by eliminating the need for expensive integrations between disparate systems. Are you challenged with balancing radiology workload and prioritizing critical exams? 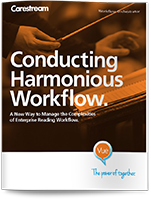 The Workflow Orchestrator Module of the Clinical Collaboration Platform can save you the time of searching for the right exam to read. Instead, the exam chooses the right radiologist automatically. Get additional information about Carestream software by downloading our brochure and white papers or contacting us directly.